Ted Missildine, Manufacturing and Pre-Engineering Academy instructor at Freeport High School, was recently selected as the 2018 FLATE Distinguished Manufacturing Secondary Educator-of-the-Year Award recipient. This award recognizes high school educators for outstanding contributions to manufacturing and engineering technology education. 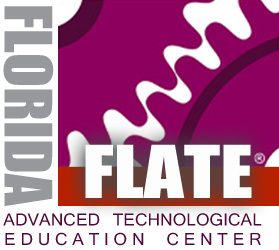 Awardees are selected from statewide nominations and judged by an awards committee made up of FLATE Industry Advisory Committee members and the Florida Association for Industrial and Technical Educators. The Awards Breakfast will be held on July 17 during the 52nd Annual FACTE Conference & Trade Show in Orlando, Florida. It intends to serve as an annual platform to exchange ideas around how our state resources are addressing the impact of market dynamics, economic trends and policies, and new technologies in this sector. Join in-depth discussions as we build a roadmap to strengthen and advance Florida’s economy through innovation, talent development, and resource leveraging to accelerate the productivity and technological performance of its manufacturing sector. Twenty-five speakers from across the state and nation will present on topics in their fields of expertise. A complete list of speakers and bios is available. For more information on how to become a sponsor or register to attend this event on July 26, please visit FloridaMakes.com/events. 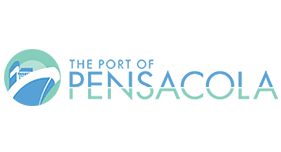 During the week of June 25, the city of Pensacola hosted a number of meetings to gauge public opinion on the priorities of the Port of Pensacola as part of an effort to craft a strategic plan for how the port lands should evolve over the coming decades. The city invited residents to participate in a conversation about its “Portside Vision and Reinvestment Strategy” in a press release issued on June 11. Pensacola’s 50-acre Port has been a significant contributor to our economy for centuries, but the city enterprise has hit hard times over the past three years. Earlier this month, Mayor Ashton Hayward’s office announced it had hired Moffatt & Nichol, an international infrastructure advisory firm based in Southern California, to develop a new strategic plan for the port. The meetings are designed to allow the public to talk with the project team about priorities for the port and hear their presentation. A second meeting will be scheduled for late July or early August. Over the next four months, consultants with the firm will look at priorities for the port and develop a plan. A timeline for the project has the final plan going before the Pensacola City Council in October.